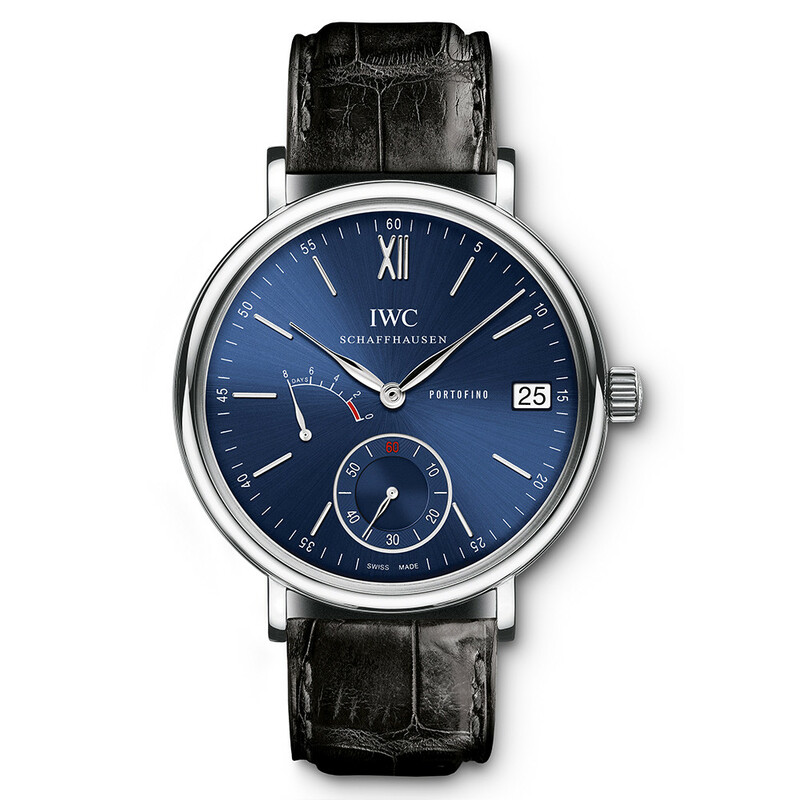 In the IWC Portofino Hand-Wound Eight Days (ref. 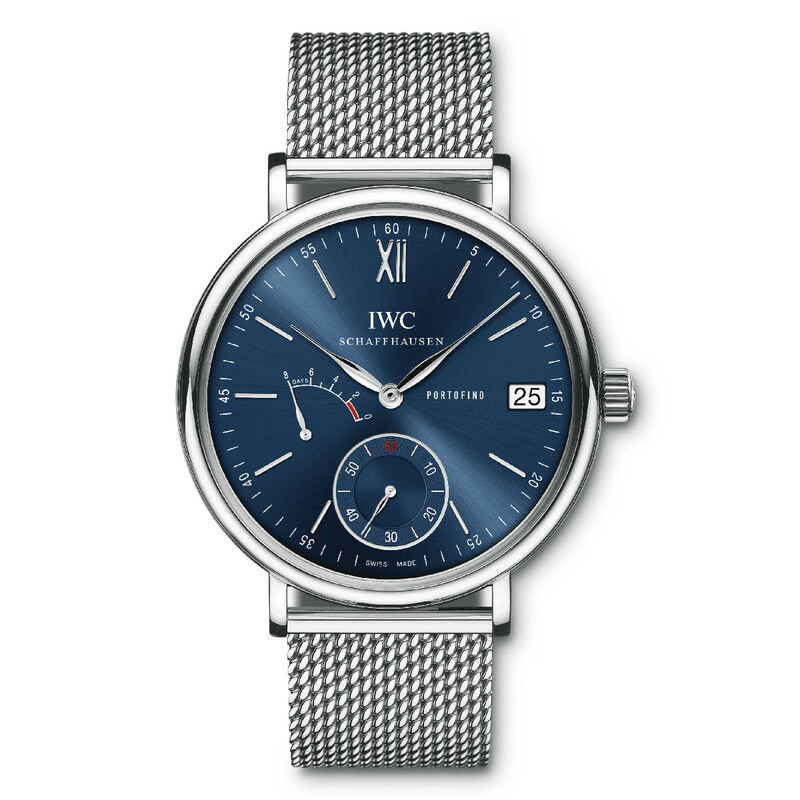 IW510116), the IWC-manufactured 59210-caliber movement will run precisely and reliably for a full 192 hours, or 8 days, before it automatically stops. Strictly speaking, it is 9 days, but the extra day in reserve ensures that the movement maintains as constant a driving torque as possible and continues to run precisely. The owner will always be on the safe side if he winds his watch once a week. The power remaining can be read off on the power reserve display on the dial. 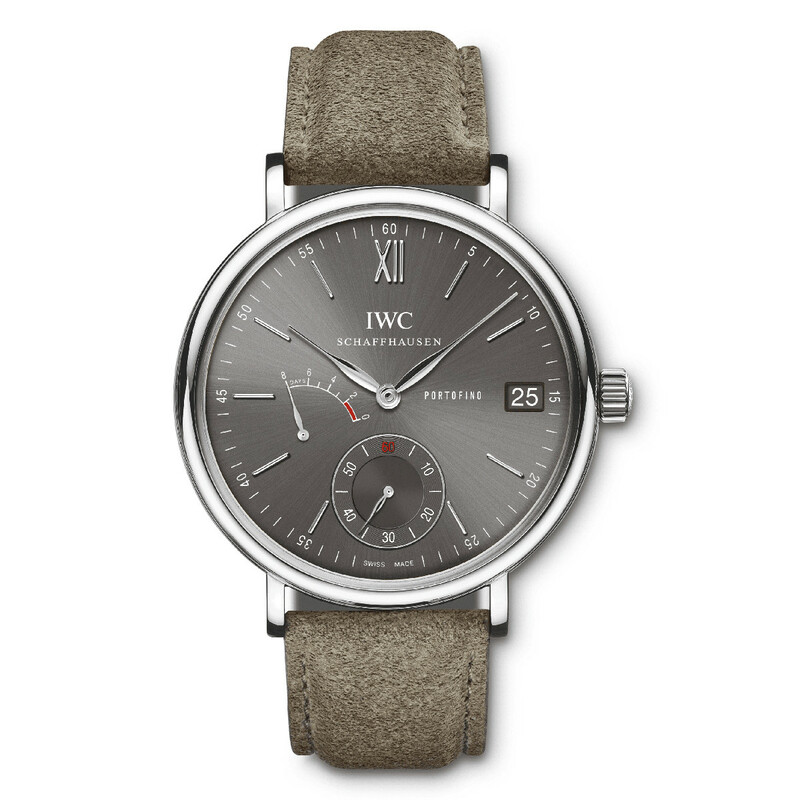 Together with the small seconds display and date display, this gives the dial a pleasing equilibrium. 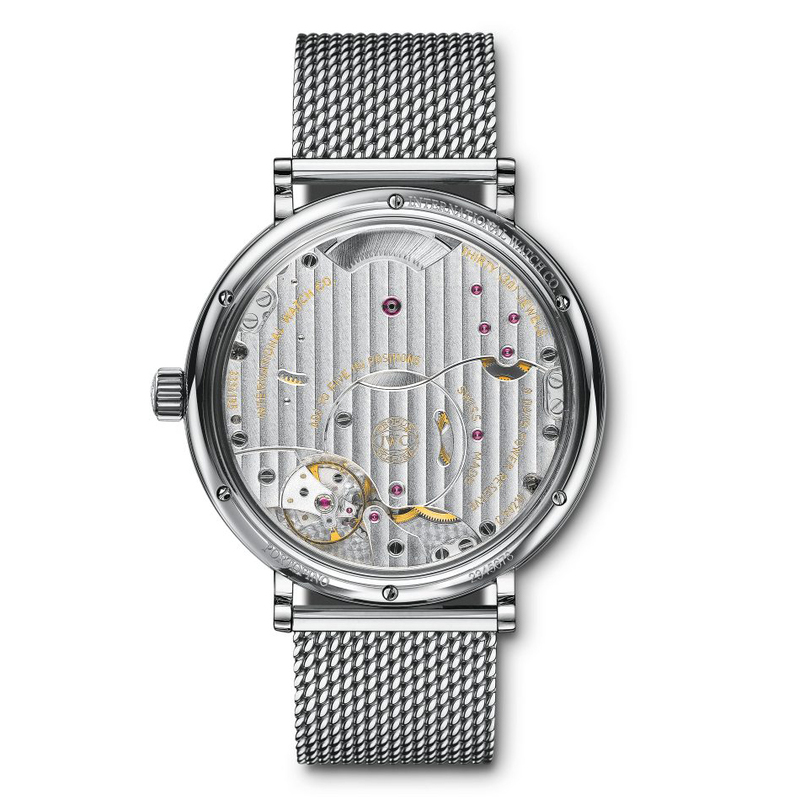 The indexless balance has a frequency of 28,800 beats per hour and, together with the Breguet spring bent into shape in accordance with age-old watchmaking tradition, helps to make the watch exceptionally accurate. 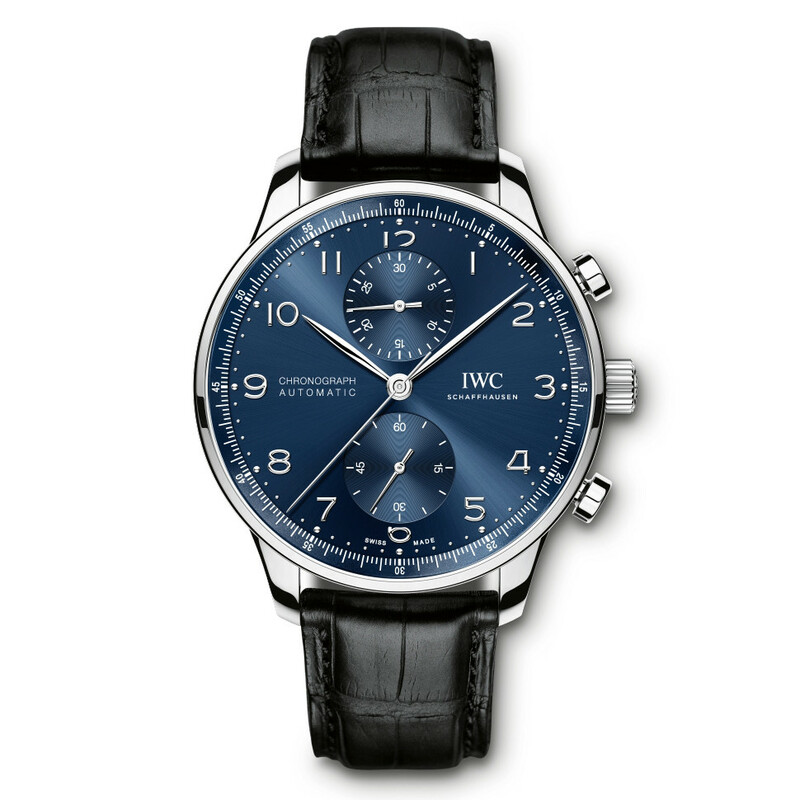 The watch is available with a stainless steel case, blue dial and rhodium-plated indices. 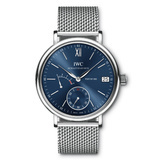 It has a transparent sapphire-glass back and a Milanaise mesh stainless steel bracelet.